Enameling, which has developed for a long period, is one of the most fascinating arts over hundreds of years. In Taiwan, people can also appreciate many exquisite enamels with over a century of history. Nowadays, plenty of craftsmen home and abroad are still trying their best to manifest aesthetic and artistic characteristics of enamel. 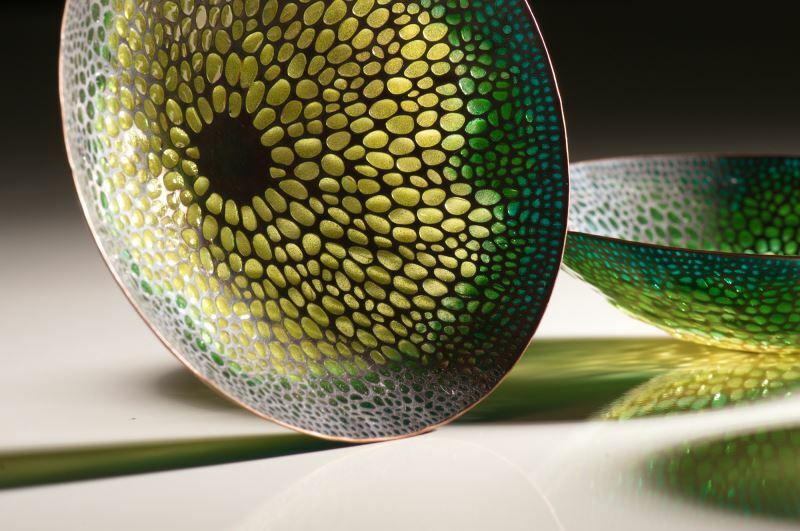 In order that enameling can develop further, Quintus Yang and Ching-Chih Wu, who are world-renowned creators of enamel crafts, act as co-curators. Almost one hundred domestic and foreign enamel creators from 11 countries, including Taiwan, Korea, the UK, Germany, France, Canada, Lithuania, Spain, Japan, America and Australia are invited to hold the “Blaze - 2018 International Contemporary Enamel Art Exhibition”. In addition, the Center for Enamel Art and the Japan Shippo Conference, NPO also take part in this exhibition. This time, International Artists Area gathered the works from 11 countries including the United States, Australia, Canada, Spain, Lithuania, France, the UK, Germany, Japan, Korea and Taiwan. The artists who participated in the exhibition were mostly famous on the international stage. Many of them have won important international enamel competitions, such as International Biennale of Enamel Art Vilnius, International Cloisonné Jewelry Contest, Japan Enameling Artist Association Exhibition, etc. The artwork exhibited in this area including jewelry, objects, paintings and sculptures, which represent different enamel characteristics of different countries. The works of The United States and European countries fully demonstrate the concept and the innovation of enamel which express in the works through techniques. In addition, the works from France are particularly full of romantic feelings. The works from Asian region display the techniques and the beauty of Oriental form. In the area you can enjoy the diversities of enamel techniques and ideas which could be seen from Cloisonné enamel made of gold and silver silk thread, Powder enamel and Wet-packed enamel of different texture caused by its surface temperature difference, Painting enamel and Plique-à-jour enamel, etc. 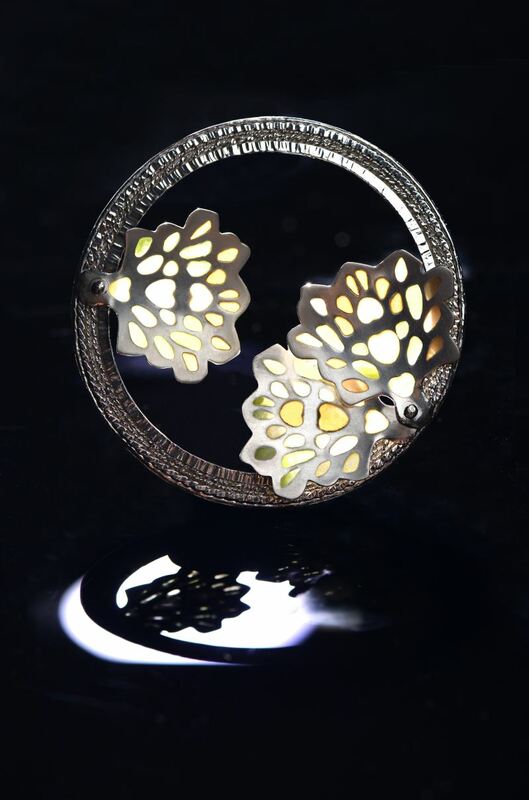 The Center for Enamel Art presents sixteen enamel artists whose work explores place in many different ways: through technique; through theme; through color; through shape.This exhibition is curated by Hannah Sigur, PhD., and coordinated by Katy Bergman Cassell as part of the Taiwan International Enamel Exhibitions to be held in Taiwan, May 2018. The Center is a non-profit corporation founded in 2015 and based in the San Francisco Bay Area in the State of California, USA. 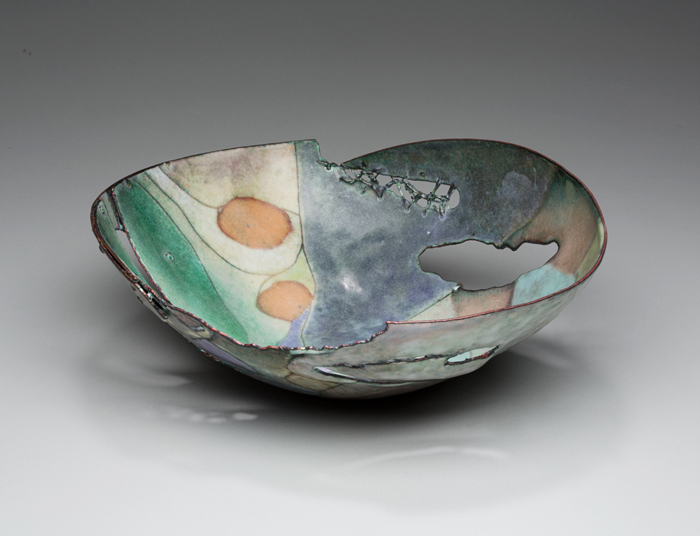 The Center’s mission is to preserve and promote the art of enameling both in the U. S. and worldwide. Through our exhibitions we hope to encourage dialogue and provide education about this under-appreciated medium. Please visit our website at www.enamelcenter.org and our Facebook page at https://www.facebook.com/CenterForEnamelArt for more information about Center programs, general enamel news, and blogposts. The Objective of Japan Shippo Conference, NPO, is passing on the technique of “Enamel” which is tradition art, developing the new technique, promoting enamel arts to people by showing works of enamel. 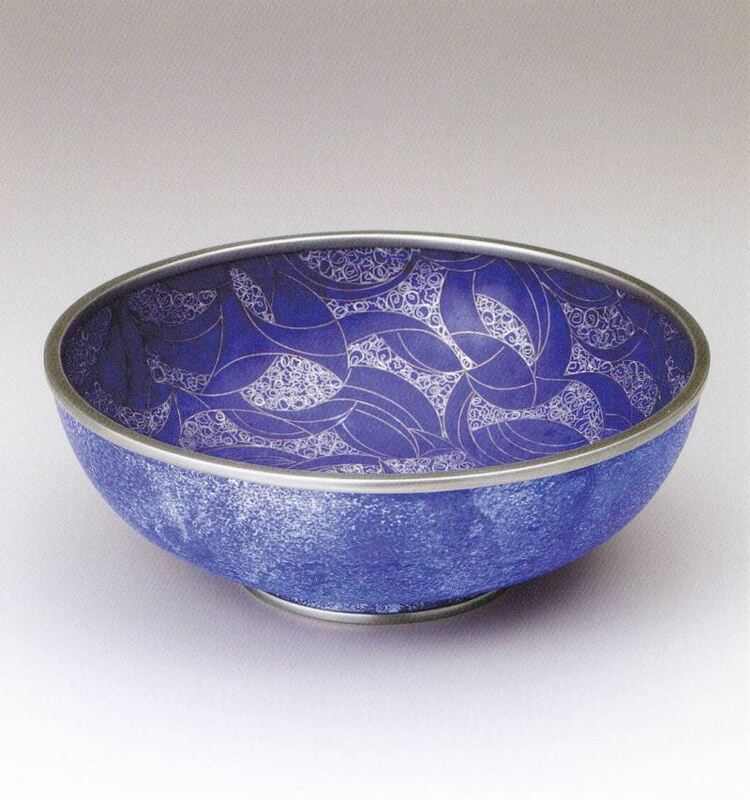 Japan Shippo Conference, NPO, was established on 1979 by Japanese enamel artists and enamel related organizations. We study the history of Japan enamel and hold events such as teach enamel to children.We study and make classical enamel works and contemporary works separately. Through the “International Cloisonne Jewelry Contest” which is held every year, we not only receive foreign works, but also vigorously send Japanese works to other country. The knowledge we learned from other country will leverage the skill of making enamel works. The Chinese Taipei Enamel of Art Association held Taiwan's first enamel-themed student competition - 2018 New Age Art Enamel Award. There were 212 works from 11 colleges and universities, such as Cheng Shiu University, Hsuan Chuang University, Fo Guang University, Tung Fang Design University, National University of Kaohsiung, Chungyu University of Flim and Art, Tainan University of Technology, Tainan National University of the Arts, National Taiwan University of Arts, Fu Jen Catholic University and Shu-Te University. After the selection, 30 pieces of work enter the final round.From those shortlisted works, we can see that the enamel art has been gradually embedded in the teaching of colleges and universities. The enamel process takes a long time of formative education. The creator must first understand the technique of making metal crafts, and then further study the techniques of enameling process. It is said to be one of the high threshold craft materials. In this exhibition, we can see the originality and exquisite craftsmanship of the contestants under the multi-dimensional education in Taiwan. From jewelry, objects, sculptures to paintings, they presented a diverse and unique content. In the competition, professors from Taiwan and international judges were invited, hoping to push Taiwan's enamel art to the international stage with the help from Chinese Taipei Enamel of Art Association.